Includes headset adapter cable, button capas and manual. 4 in 1 out mixer. Includes snake cable and has meter upgrade. Includes Portabrace, manual, Np1 cup to 4pin XLR power, BDS to 4pin XLR power, rotary Boom pole fader, Unbalanced stereo out to XLR3M cable, Mono out to XLR3M cable, Yellow & blue fader caps Porta Brace bag with shoulder strap. With firewire I/O option card. Includes firewire cable and power supply, in original packaging. 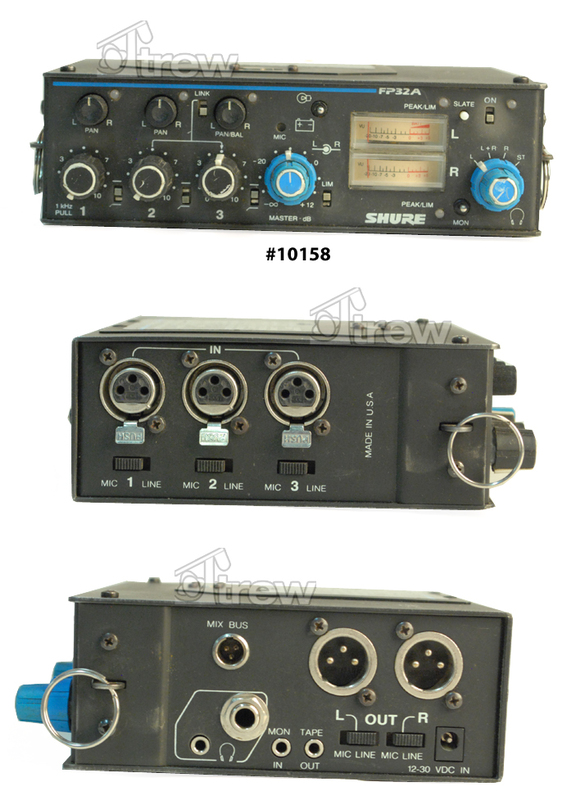 Includes custom 4 pin hirose to 3x RA coaxial power cables. Includes Petrol bag, Petrol harness, Varizoom Ni-MH battery, Peter Engh breakaway cable, 4x jumper XLR, 1x boom to mixer jumper cable, 2x 4 pin Hirose to Lectro power cables. Includes Portabrace bag, and (2) 25 foot snake cables. 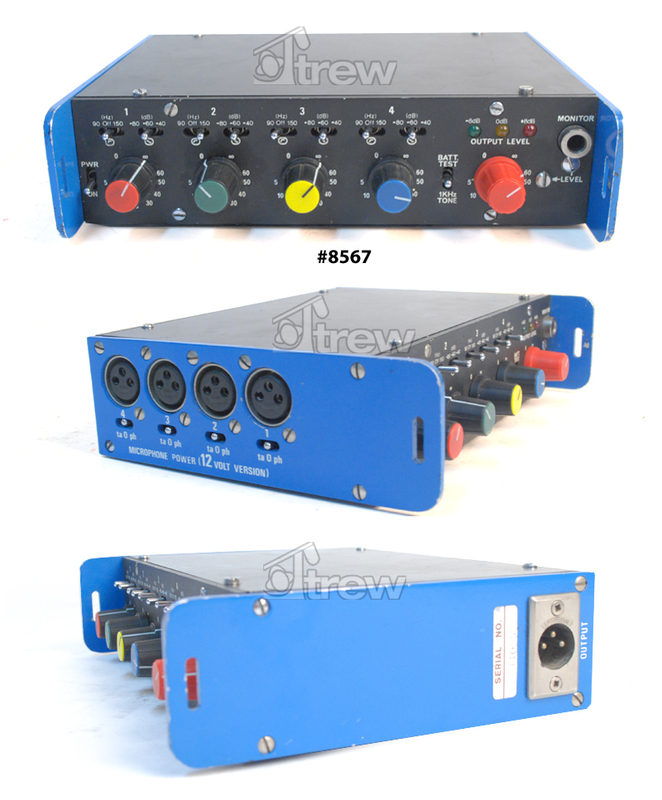 Includes (1) DB25 to 8 XLR Inputs and (1) DB25 to 8 XLR Outputs. Includes bag and power supply. Includes Shure bag and strap. Includes Shure field bag and manual. Includes Porta Brace bag, power supply, 2x 1/8″ to RCA cables, 2x RCA to XLRM cables, 1x XLRM to split XLRF cable, 2x 1/8″ to XLRF. 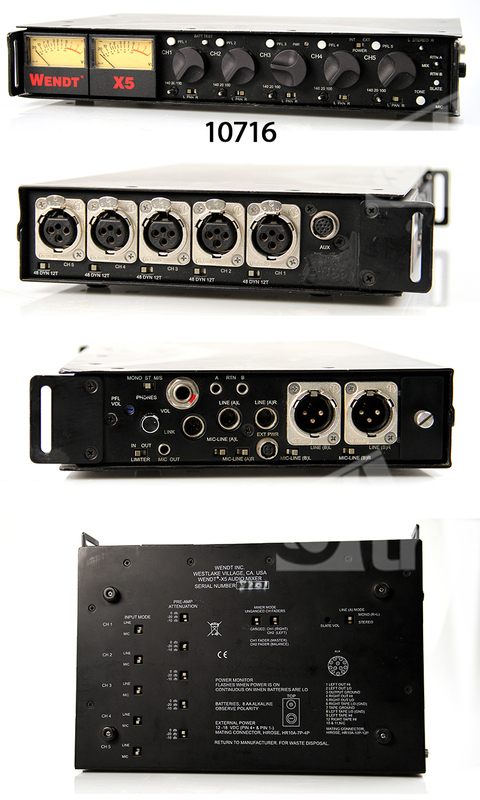 Includes: Binder splitter to four XLR3M connectors. Petrol mixer bag does not come with strap or vinyl shield cover. Includes: Petrol PS607 bag, 2x XLR jumpers (18.5″ 20″), 1x XLR 20ft, 1x breakaway cable, Senal SMH-1000 headphones, Pearstone AA battery charger. 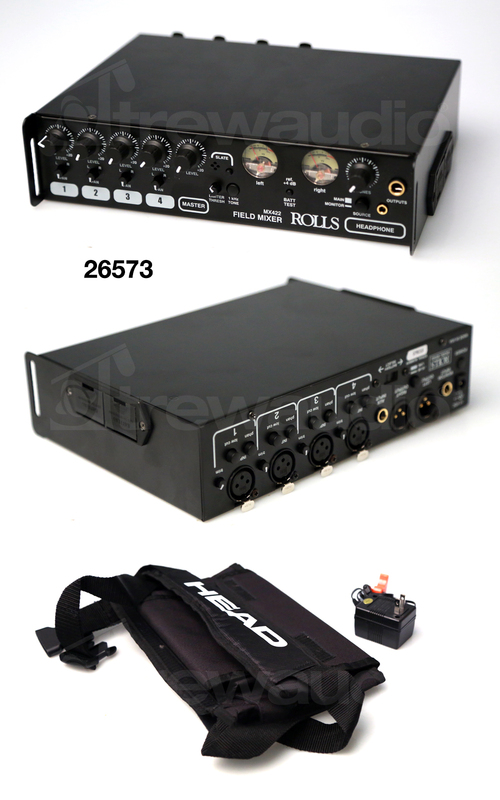 Sound Devices 302 W/Bag and breakout cable. 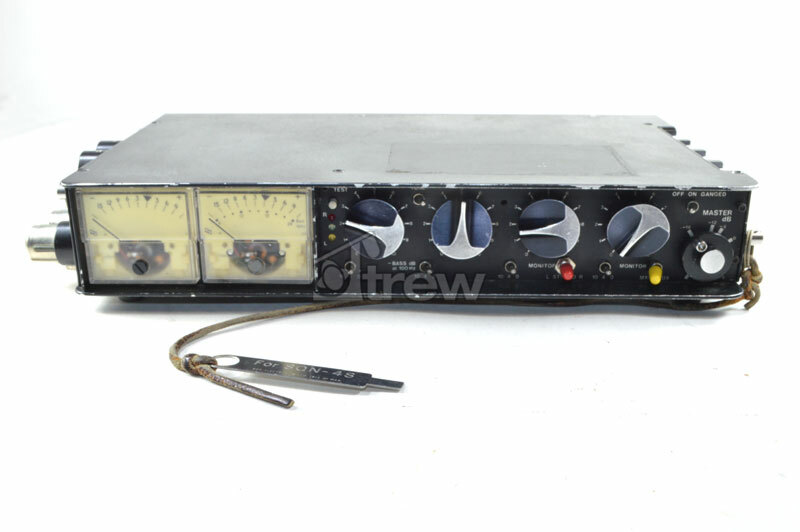 Includes 442 recorder, Petrol PEGZ3 case with shoulder strap, multi pin jumper cable. 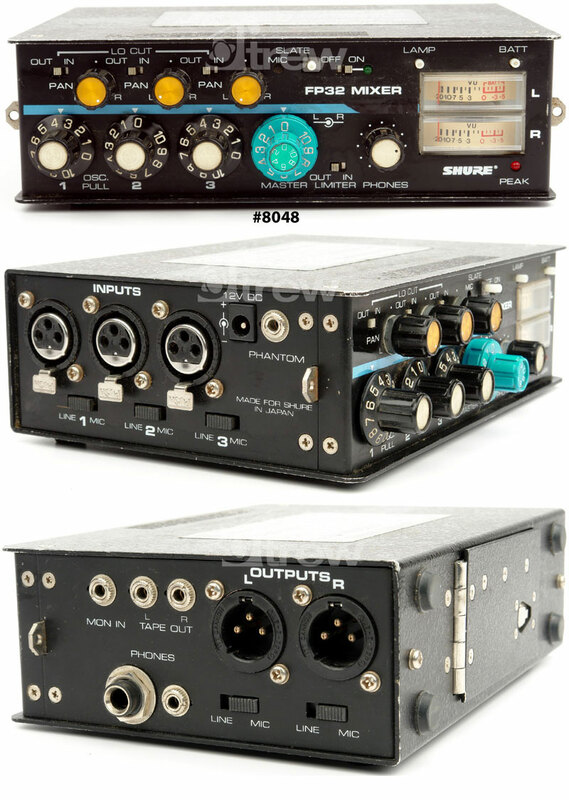 Includes 10-pin breakaway, 7 pin wiring harness, hard case and various lengths of mic cable. 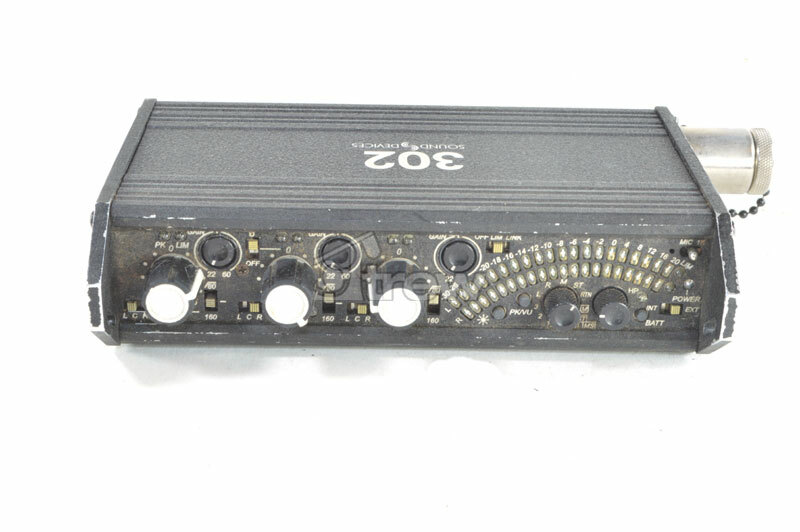 Includes SQN-4S mixer, Portabrace bag, 12-pin Tajimi breakout cable, 4-pin Hirose to 4-pin XLR cable, 12-pin Hirose to 3-pin XLR cable, and 12-pin Tajimi male to 12-pin Tajimi female. This unit was a PSC M4 that was redone by Wendt and now is a Wendt X4. 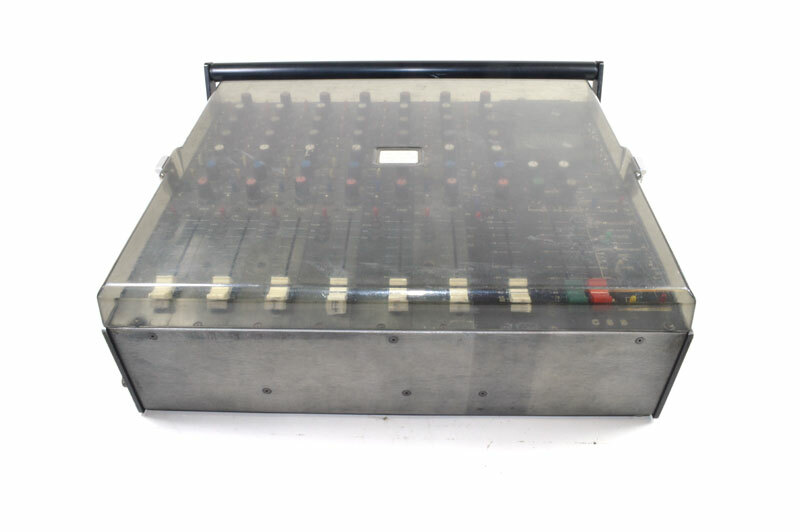 Includes bag, power supply, and 12 pin to dual XLRM and 1/8″ female. Includes Strap and breakaway cable. Includes: AC power supply and Dante-MY16-AUD.